The first things you see in the game space are: a cigarette, a golden wristwatch and a necktie. All these items belong to a powerful man who often visits this place. As many people of this sort he came to his power not very honestly. During his lifetime he did many awful deeds. In his childhood he tortured animals, being a teenager he was a drug pusher and a head of a gang. When the man became an adult, he started to distribute unlawful arms and to torture people with the aim to enrich at their expense. He had everything he wanted: money and power; but at the end of his life he felt he had no feelings, no love and no man to trust. That time the thoughts about this dreadful life began disturb him so he came to that place to play cards and to divert. The game is the most suitable means to have a rest, to relax and to listen to music. 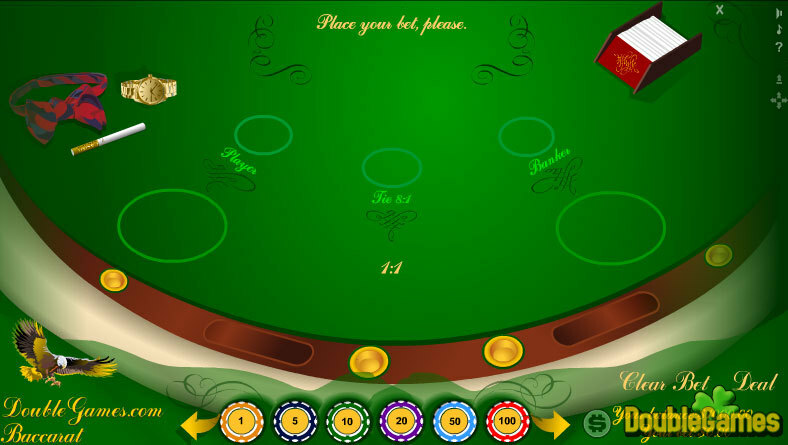 We offer you Classic Baccarat as the best way to amuse. The game is so absorbing that you can’t stop playing! 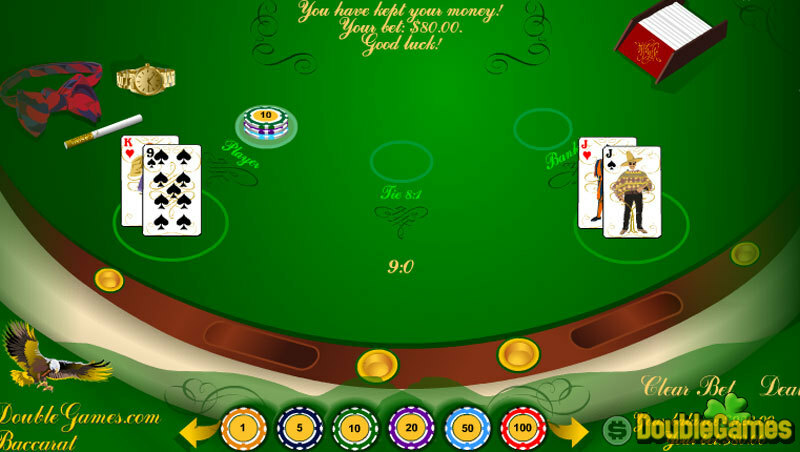 Title - Classic Baccarat Game Download for PC Description - Amuse with Classic Baccarat, a Board & Cards game made by DoubleGames.com. Classic Baccarat is so absorbing way to amuse that you can’t stop playing!